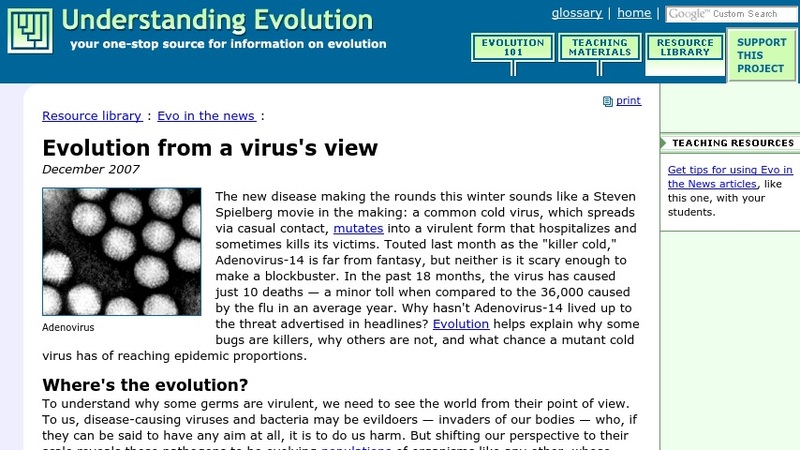 This page is a brief tutorial on viral evolution. The text focuses on the evolutionary pressures that balance transmission and virulence. There are additional sections with further recommended reading, resources for teachers, and a brief bibliography. This is a good resource for secondary school students and teachers.